Ernie Kuehne ('66), a native of Mart, Texas, enrolled at the university on a track scholarship in 1962. After graduating from UNT with a political science degree in 1966, he entered Baylor University where he earned a Doctor of Jurisprudence in 1969. 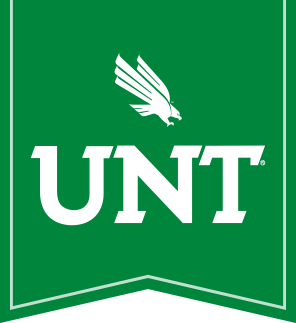 He and his wife, Pam, are staunch supporters of UNT. He has three children: Ernie III (Trip), Hank and Kelli. Professionally, Mr. Kuehne is president and board chairman of Kuehne Oil Co., a member of the State Bar of Texas and owner of Kuehne Racing. He gives his time and money to many worthy organizations in the community. He is a past president of the American Junior Golf Association. For 10 years, he and his family have sponsored Kelli Kuehne's "Teeing It Up to Cure Diabetes" golf tournament, which has raised over $3 million for juvenile diabetes. He is sponsoring four UNT National Merit Scholars for their undergraduate degrees. In 2013, he was a nominee and finalist for Texan of the Year. Ernie is an active Freemason, having received the 33rd degree in the Scottish Rite of Freemasonry in Washington, D.C. in 2015, and in 2016 was added to the Hall of Honor in Washington, D.C. as the only Texan to have been designated an Architect of the Temple. In 2016, he also received the Order of Knights Templar in the York Rite of Freemasonry. Kuehne serves on the President's Leadership Board and is a member of The McConnell Society at UNT. He also is a life member of the UNT Alumni Association and the UNT Letterwinners Association. He is a past Pi Kappa Alpha Fraternity Alumni Advisory Board member and trustee. As a former UNT athlete, Kuehne was inducted into the UNT Athletic Hall of Fame (class of 2013) receiving the inaugural Fred McCain Award for his contributions and efforts to advance the athletic program in major ways. Mr. Kuehne pledged a $1 million cornerstone gift to help with Apogee Stadium and other athletic department needs. He chaired a Basketball Enhancement Committee that raised more than $3 million, and added an additional $1 million himself, for a new scoreboard and sound system for the Super Pit along with a new UNT practice facility. For his efforts, the UNT basketball practice facility was named in his honor. Kuehne's personal generosity is only amplified by his ability to mobilize his peers in the community and build excitement for UNT. To honor his efforts to sustain spirit among the UNT family, the university presented him with the Ulys Knight Spirit Award in 2013. That honor was followed the next year by the Distinguished Alumnus Award, in recognition of his prominence in his profession and the positive image he brings to the university. In April 2016, Kuehne was presented the inaugural Wings of Eagles Presidential Award. Celebrating creativity, spirit and innovation at UNT, the Wings of Eagles Presidential Award is presented to an alumnus or friend who embodies what UNT represents: engagement, generosity and affinity. It is the most prestigious award presented by the president to someone who has made a transformative impact on the university. Mr. Kuehne vision of bringing relevant speakers to Dallas on behalf of UNT resulted in the establishment of the UNT Kuehne Speaker Series. He pledged an initial gift of $300,000 to launch the series and helped raise an additional $1.5 million to ensure sustainability. Today, the lecture series is highly recognized for the nationally prominent speakers it draws. UNT has benefited from Kuehne's unwavering commitment to his university, its athletes, its students and the community at large. 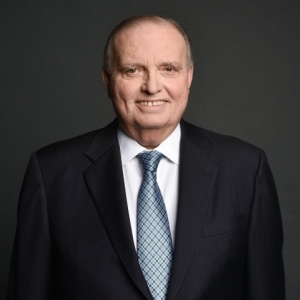 His passionate leadership and influence have raised more than $15 million for athletics, the Kristin Farmer Autism Center, logistics and this speaker series. When matching Texas Research Incentive Program funding is included, the impact surpasses $20 million. Kuehne's passion for UNT is evident in his quote: "Our efforts have proven that a lot of people believe in UNT, and they credit the education received here for their success in life. As time passes by on this campus, I hope I am remembered as a person who helped others achieve their dreams."